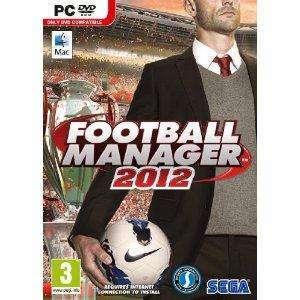 Football Manager 2012 will once again allow you to take charge of your favourite football team and put your managerial skills to the test. You have to have a internet connection and use STEAM to play the game. Any PC gamer who is remotely interested in gaming will have steam and an internet connection anyway. And AFAIK you can set to play offline so what's the difference? People who hate steam really don't have much of a clue about gaming IMO. err.. since to read this and also to buy it from Amazon you need an internet connection how exactly is this an issue?? You could argue that the vast majority of deals on here require an internet connection since they're in general web based deals!!! Any PC gamer who is remotely interested in gaming will have steam and an … Any PC gamer who is remotely interested in gaming will have steam and an internet connection anyway. And AFAIK you can set to play offline so what's the difference?People who hate steam really don't have much of a clue about gaming IMO. Have to agree with this. To call it 'disgusting' is ridiculous. You have to use a windows or mac distribution as well. Oh the horror! Cold from me sorry.. I know its store specific but my local club (Cambridge United) have a stock of these for £15 a pop so maybe worth a call to your local team too..
Just say no or book into rehab now. Love the game but they really should retitle it to The End Of Life As You Know It. Referring to an expired deal: hotukdeals.com/dea…958? its been this price for some time and been posted before. it was £13.99 at gameplay. Do you work for Amazon? Tempted to buy it but I know I won't play it often enough. Deal posting newbie! This is psnwrightson first deal post. Help out by leaving a posting tip or just to show your appreciation for their contribution.